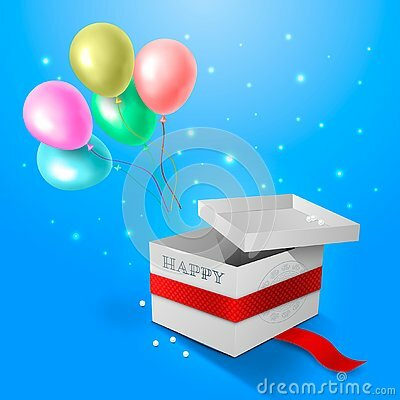 Multicolored balloons fly out of the open cardboard box with the lid turned upside down. Inflatable beach ball. Set of multi-colored children s balls. Four multi-colored inflatable balls for playing on the beach in the summer..